head coach Wallace Wade during practices before the 1931 Rose Bowl. Henry Gorham Crisp, universally referred to as "Hank," was one of the most reliable fixtures within Alabama's athletics for more than four decades. The North Carolina native coached a number of sports at The Capstone and twice served as the top administrator of the athletic department. Although Crisp lost his hand cutting corn to fill a silo when he was 13, he became a standout athlete at Hampden-Sydney College and Virginia Polytechnical Institute (now known as Virginia Tech). 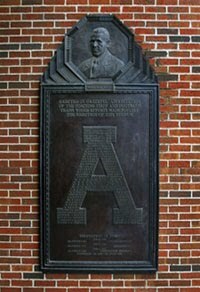 He was the captain of the undefeated 1918 VPI squad that claimed the South Atlantic Intercollegiate Athletic Association Championship. 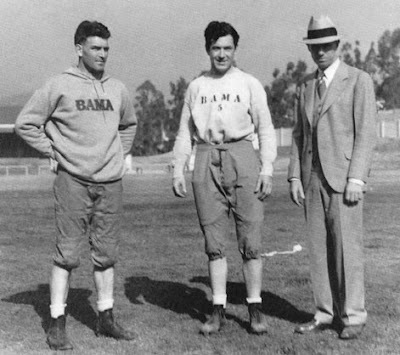 After graduating he spent a year playing professional baseball then took the job as Alabama's head track coach in February 1921. He followed Charles A. Bernier, his coach at both VPI and Hampden-Sydney, who had been named Alabama's head basketball coach and athletic director. Crisp quickly became a fixture within Crimson Tide Athletics. Upon arriving in Tuscaloosa he became an assistant football coach under Xen Scott and his contribution to Alabama's gridiron success over the ensuing decades was significant. He has been credited with inaugurating Spring football practice at Alabama within a few months of his arrival. Crisp served as an assistant under five Crimson Tide football coaches; Scott, Wallace Wade, Frank Thomas, Red Drew and J. B. Whitworth. Today he is perhaps best remembered as the man who recruited Paul W. Bryant, then a standout high school player in Fordyce, Arkansas. Renowned as a strict taskmaster and disciplinarian, Crisp was considered one of the best line coaches in the country. Despite his tough demeanor, those who played for him invariably noted his compassionate nature. Bryant himself later praised his former coach and colleague for his ability to get players mentally prepared to compete. "He was a field coach," Bryant said. "He got it done out there on the field and not everybody can do that." In 1924, Crisp was named Alabama's head basketball coach and he held that position until 1942 then returned for the 1946 season. His career record was 266-129, a respectable .673. 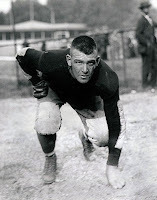 In 1930 the team rolled up a 20-0 record and claimed the Southern Conference championship. In 1934 Crisp's Crimson Tide team claimed the first of Alabama's six SEC titles. He was also the school's head baseball coach in 1928 and 1929. During World War II, Crisp served as the head of civilian physical instruction for the US Navy at the training station on the University of Georgia campus. He was an assistant coach with the Skycrackers football team under Lieutenant Raymond Wolf and was on the sidelines in 1942 when they beat the Crimson Tide 35-9 in Birmingham. 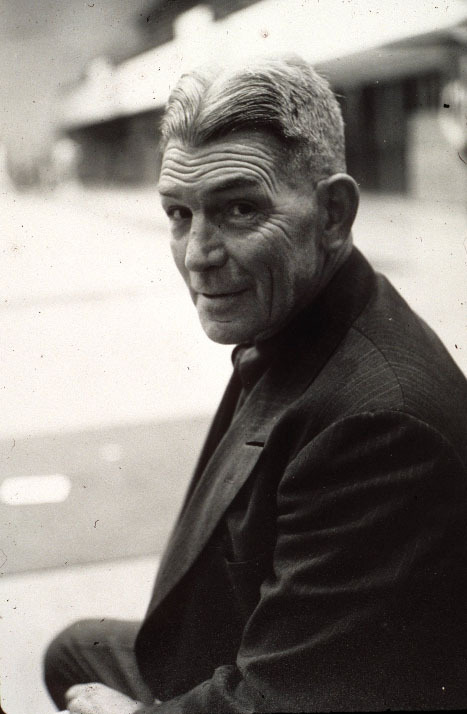 Crisp returned to Alabama to assist with the 1946 Rose Bowl team but then left to coach Miami Seahawks of the now defunct All-America conference. After one year he took an assistant coach job at Tulane under Henry Franka. In 1950, Alabama coach Red Drew brought Crisp back to Tuscaloosa as an assistant. Crisp served as Alabama's Director of Athletics from 1931 to 1939 and again from 1954 through 1957 when he stepped aside in order to allow Bryant to return. Crisp continued on as the director of intramural sports until his retirement from the university in 1967. On Jan. 23, 1970, the 73-year-old Crisp collapsed and died during a reception an hour before he was to be inducted into the Alabama Sports Hall of Fame. Today Alabama's indoor football practice facility is named in his honor.